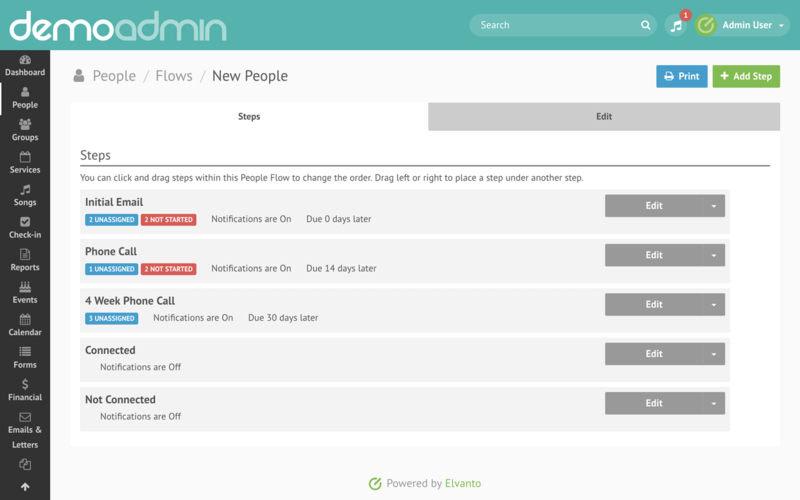 We have a range of tools to help your admin team be effective in their roles. 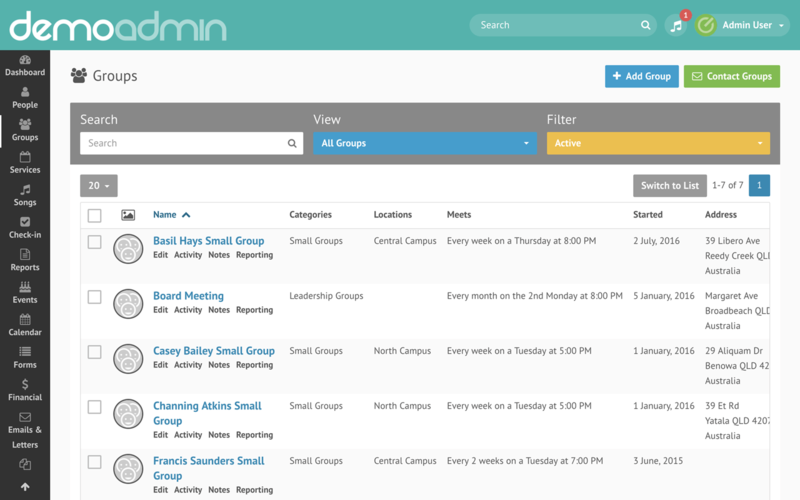 Administration is a key role and Elvanto provides your church with the right tools to help you stay connected with people and to help keep operations running smoothly. 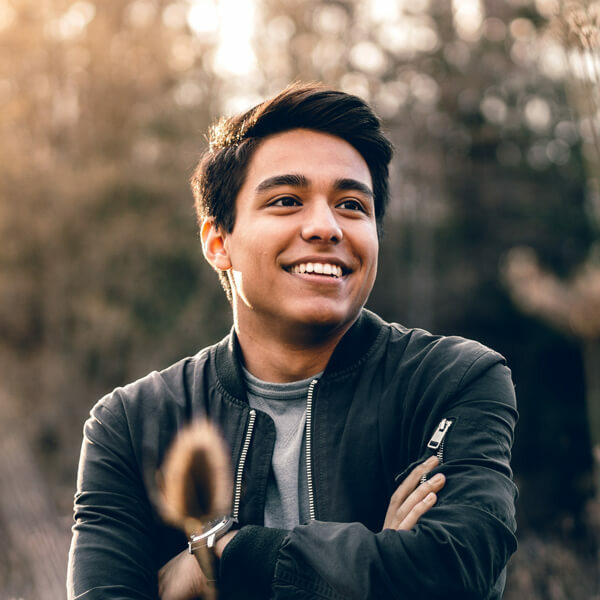 With Elvanto's tools, you can streamline many of your administrative processes to save time, keep things efficient so that no processes are left undone, or people are left behind. 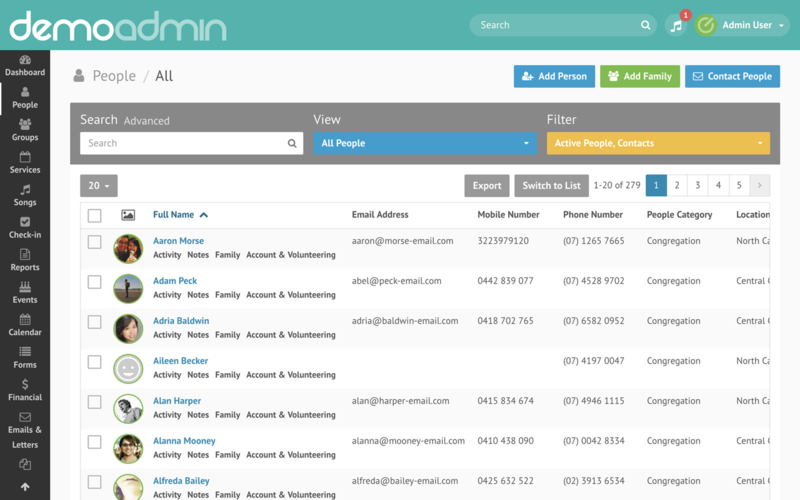 You can use manage your members and groups, print the reports you need; and that's just the beginning. 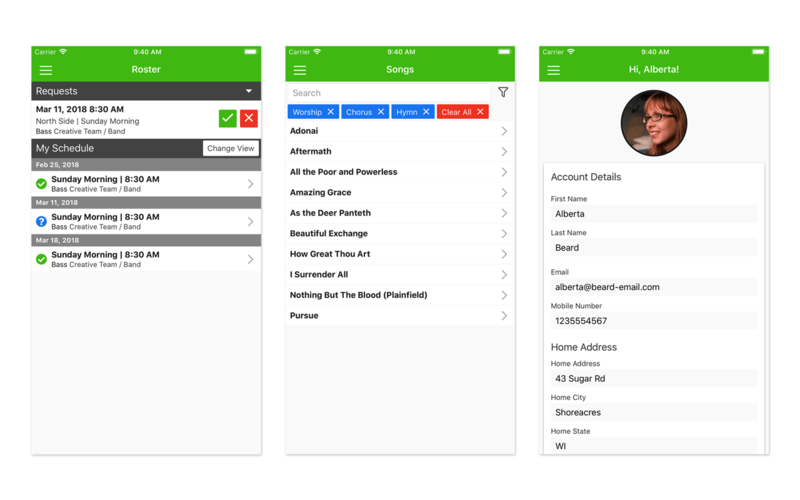 Create customized forms, embed on church website, sync members data, collect payment for events and trigger automated actions. Limit what information and features your users can see depending on their role in the church. 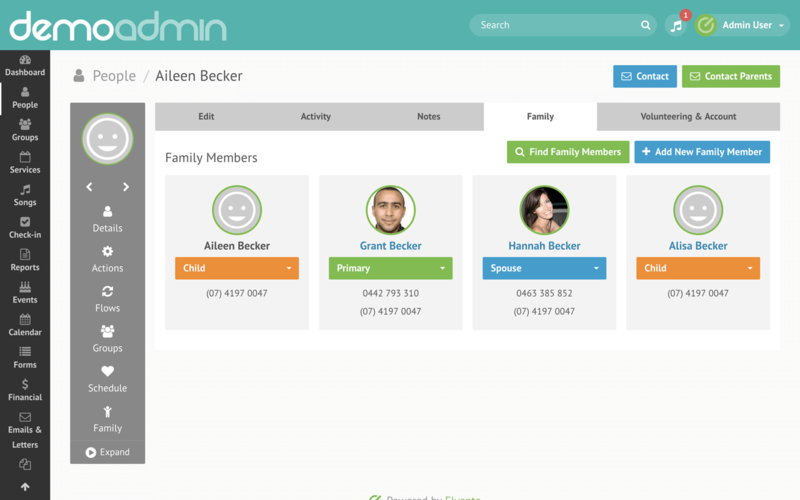 Communicate with members in your database via SMS or email, schedule future communication and use built-in templates. 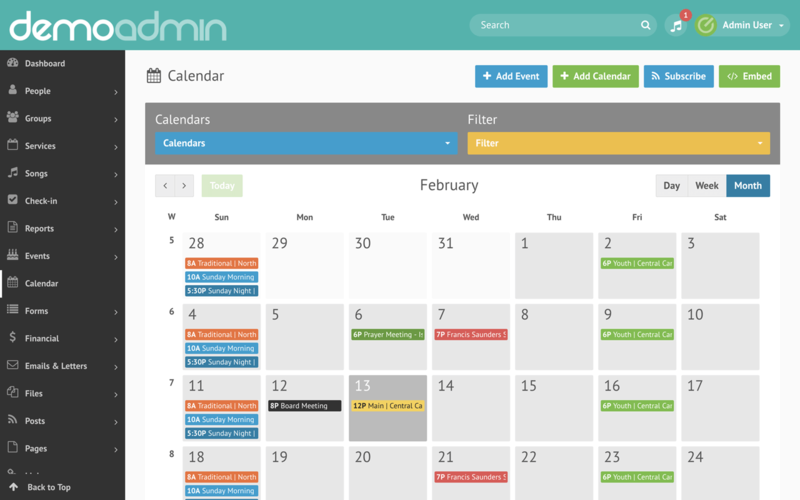 Manage your church calendar with multuple calendar support and embed on church website. 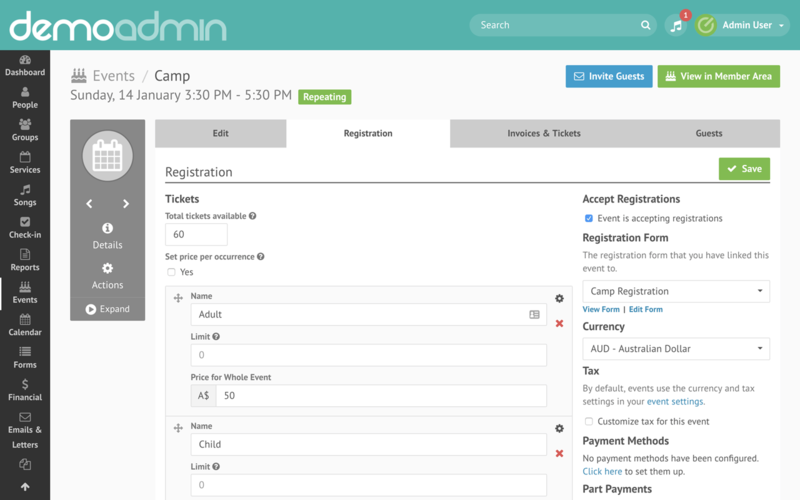 Create events, share or embed on church website, book rooms, equipment and collect payment and registration. 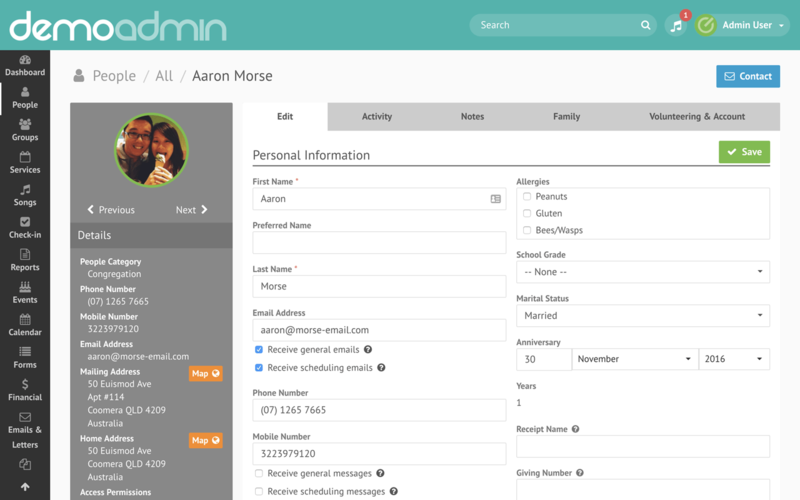 Store people and create custom fields to record any information you need. Group people together, set-up meeting times and send automated reminders to leaders to report on attendance. Plan out services, schedule volunteers and report on attendance. Check adults, youth, children and volunteers into services. Set up and track the different processes that occur in your church in a systematic and step-by-step flow. 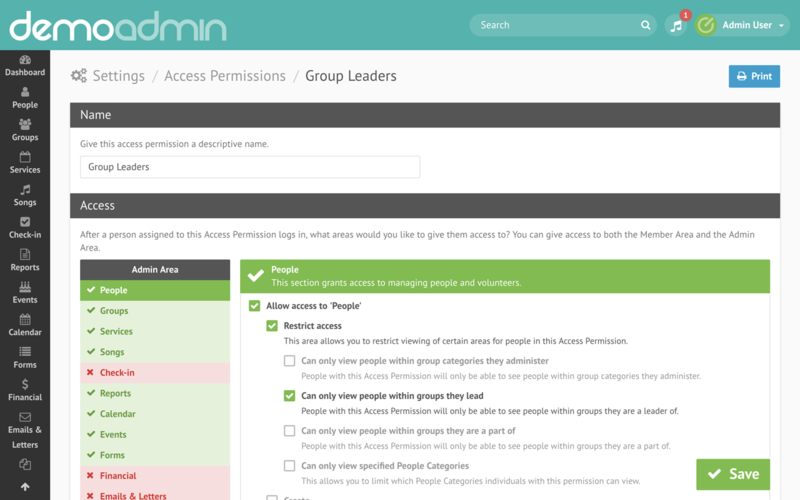 Allow your community members and volunteers to access information you share in their own login credentials. 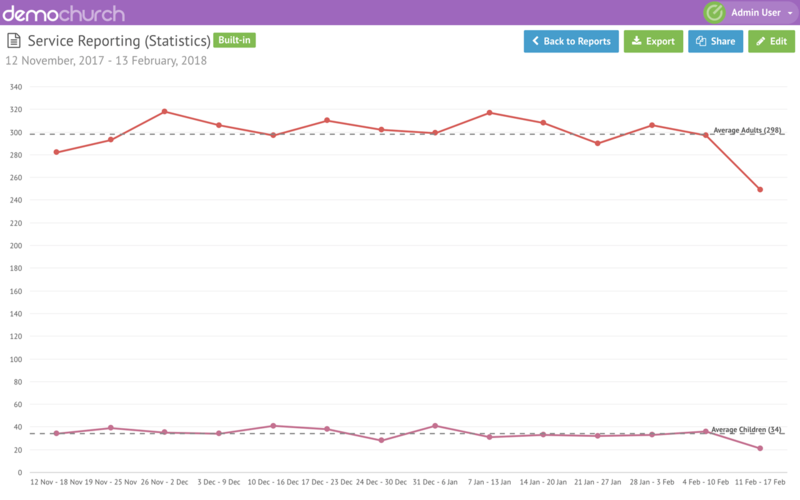 Create quality custom reports that can be shared with your administration team and leaders. 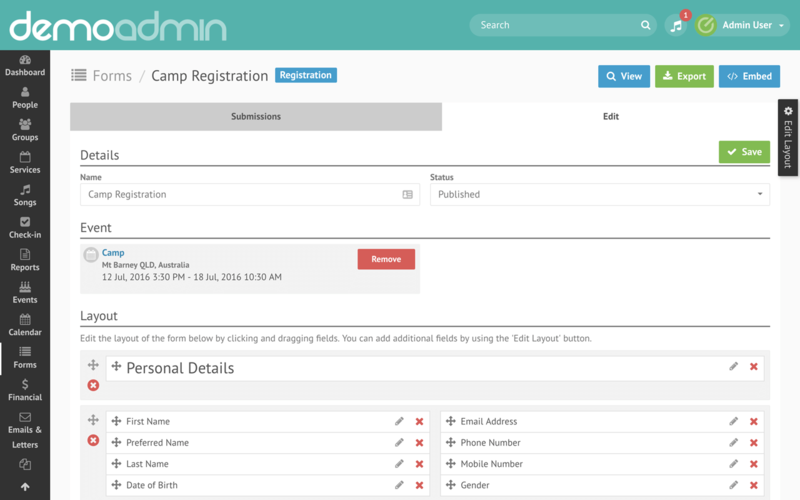 Generate reports on people, groups, services, financial and attendance. 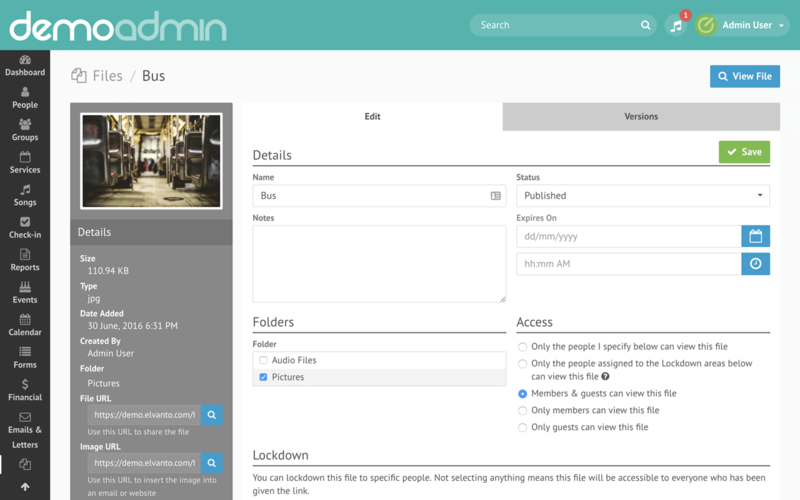 Set up permissions to share your reports, and export into a wide range of formats. Store important files and share with members, teams and leaders. Communicate with your website visitors, categorize and tag posts and create relevent content for your church members. Customize your individual dashboard and see key information related to your role. Add your church logo and colors to make your account your own! 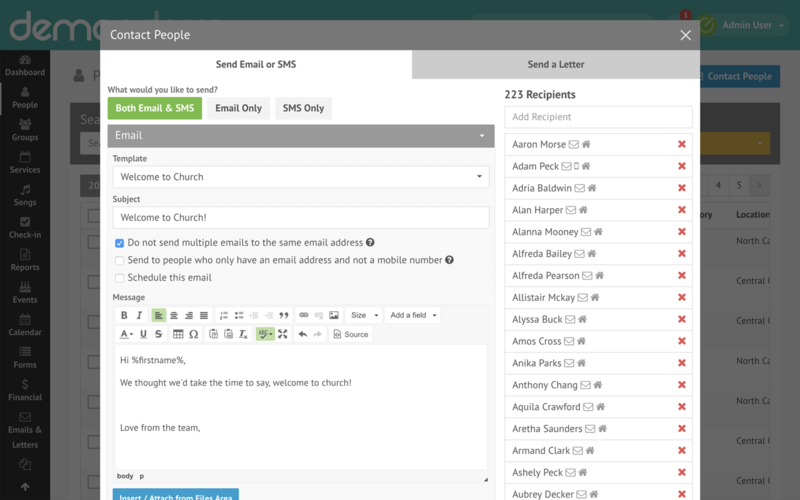 Manage multiple congregations from a single account. Configure settings to suit your church's Elvanto account.